DC: Hi Eoin, thanks for taking time out of your preparations to take part in this interview. First question. It's been a very controversial season in the SBC South with the dropout of both DCU + Cork. How have UCD managed to cope with that and continue to stay competitive? EC: Very unfortunate situation that left the league with little time to react, thankfully we were still able to play against Trinity and UL multiple times, two very good teams and we were fortunate enough to get a game in against Cork. We can only play the games on our schedule and although there was little variety in the schedule each game was different and very competitive. DC: You obviously struggled yourselves towards the end of the year, being unable to field a team against UL. In a tough schedule that does not account for University schedules what have UCD done to get a team together since that game? And are there any measures that you put in place as a team to help yourselves through the exam period? EC: We knew before the schedule was announced that no allowances would be made for us and we wouldn't expect any. The last two games against UL have just been a perfect storm of issues for us. 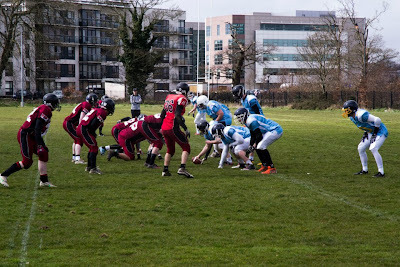 The game in which we couldn't field a team was originally a week we had off and was coincidentally the weekend UCD exams finished so there were a lot of holidays booked as soon as the schedule was released. The 2nd game saw us lose 8 guys to injuries which was a new record for us, while playing a game with low numbers isn't ideal we felt like we'd get through it. Thankfully we have a few players returning for the upcoming wildcard game this week so we'll be travelling stronger this week. My approach to exam season is to cut training to one session at the weekend and encourage our players to do all their study during the week to allow them the 2-3 hours for training, on top of encouraging guys to meet up and run routes, work on coverage etc when they can. Ultimately I know these exams will always be prioritised ahead of football but we do what we can. DC: You've met UL a couple of times this year and pushed them close on both occasions. 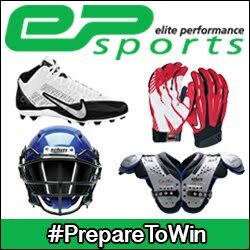 Do you think you have the squad and tactics to overcome them in the wildcard playoff game this Sunday? DC: How do you go about preparing for a game like this? EC: It's the teams first ever playoff game and they're all raising the standard thats expected of them. On a personal level I'm just trying to figure out all the matchups I can work in my favour and design certain plays, formations to exploit them. DC: What was your aim coming in to the season? And have those aims now changed considering the position you are in? DC: Many see the SBC South to be weaker than the North, with the likes of Belfast Trojans, who awaits the winner of your game, and the Dublin Rebels. How would you view that opinion? EC: Well as it stands there's only 3 teams in the SBC South so there's not much of a discussion to be had, without seeing what the likes of DCU and Cork would have been capable of in a full season there's no real comparison. The SBC North has been great this year. DC: If you are to go all the way you'll have to take down both of last year's Shamrock Bowl finalists. You'll go in as underdogs. Who'll be the guys on your team that you'll look to lead on the field? EC: No easy task for us or any team, but a challenge we can't wait to get started on. QB Colin O'Meara, WR Paul Geraghty, MLB Nick Hall, DB Ciarán O'Connell all know that I'm expecting a lot from them, they've all played integral roles this year and they're expected to set the standard for our team on the field. DC: O'Meara and Geraghty have formed a fearsome partnership this year, connecting for more passing touchdowns than another QB and WR in the SBC South. Will you be looking at them to put points on the board against UL? EC: They know what's expected of them this sunday and they're working very hard together in preparation for this Sunday. DC: And finally what do you see as your key match ups this weekend? EC: Ciarán O'Connell v Sean Goldrick is a big matchup for us, and I feel like whichever team wins the war in the trenches for 4 quarters will emerge on top.